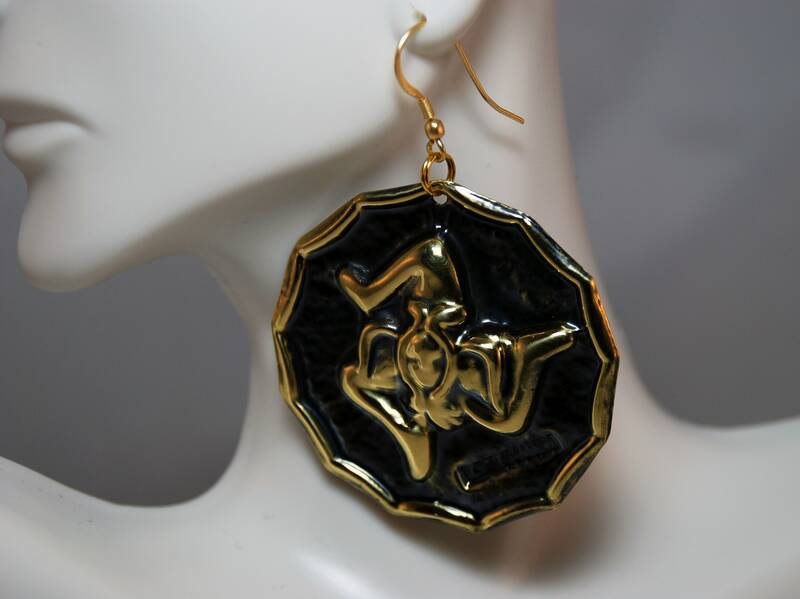 These are 100% original Sicilian brass earrings. 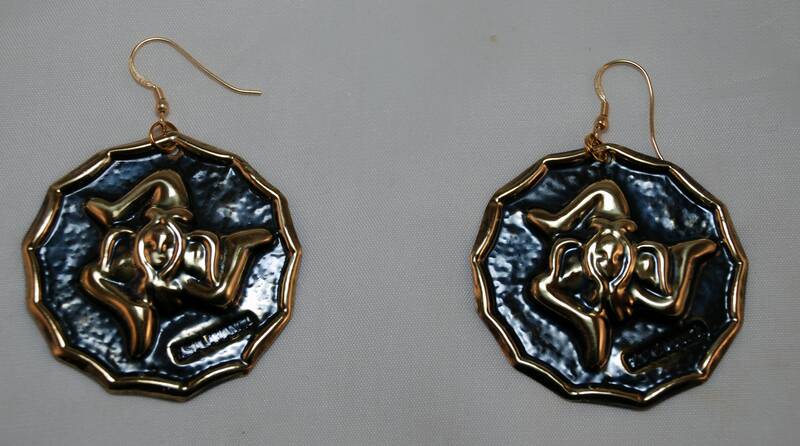 They are handmade in Catania, Sicily only using local raw brass. 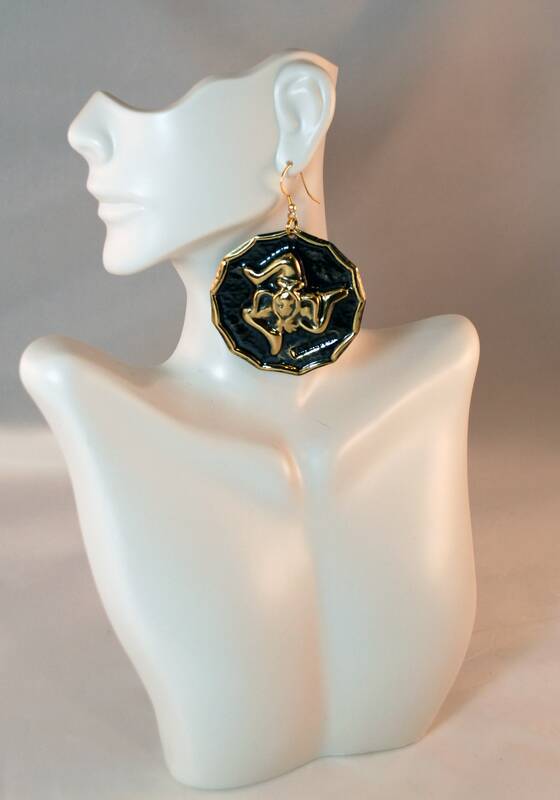 These earrings depict the "Trinacria", the symbol of Sicily since the third millennium BC. 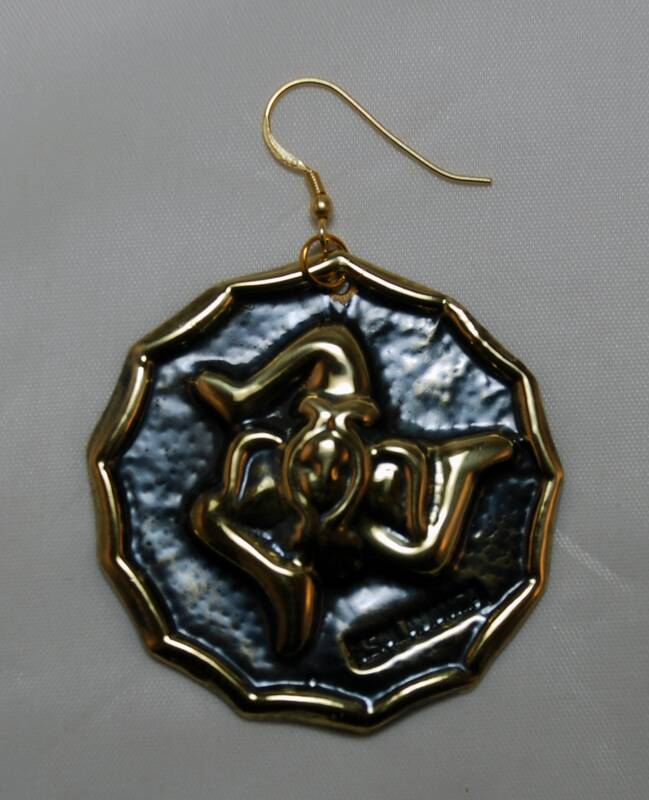 Great gift to remind someone of his/her Sicilian origin! Approximate size, 2 in. x 2 in., about .4 oz.